Canadian Weightlifter Christine Girard originally won the bronze medal in London. It was upgraded to gold after both athletes who beat her tested positive for anabolic steroids. 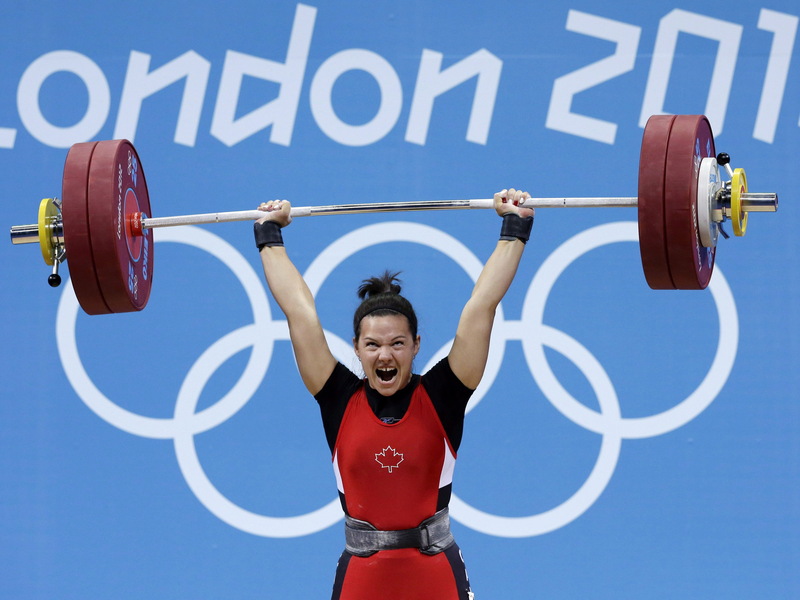 Christine Girard, a Canadian weightlifter turned anti-doping activist, has been officially awarded the gold medal in the 63-kilogram category of women’s weightlifting from the 2012 London Summer Olympic Games. The recognition came over six years after the conclusion of the London Olympics during an award ceremony in Ottawa on December 3, 2018. Girard’s gold medal was only made possible by the International Olympic Committee’s (IOC) stored sample re-analysis program. The program requires that athlete urine samples remain stored for a 10-year period following the conclusion of each Olympics. This provides the IOC with the opportunity to retest the stored sample in the subsequent years utilizing advances in doping detection technology. Christine Girard knew all along that her Olympic competitors were using steroids. Girard always suspected her competitors were using steroids at the Olympics. They weren’t doing things “the right way” like she did. At the 2012 London Olympics, Girard originally won the bronze medal. Kazakhstani weightlifter Maiya Maneza and Russian weightlifter Svetlana Tsarukaeva both out-lifted her and won the gold and silver medals, respectively. In May 2016, the IOC announced that Maneza tested positive for stanozolol (Winstrol) and would be stripped of her London Olympic gold medal. In July 2016 and January 2017, Tsarukaeva was stripped of her London silver medal after the IOC reanalysis program found traces of dehydrochloromethyltestosterone (Oral Turinabol). Girard was also awarded a bronze medal in the 63-kg category for her performance at the 2008 Beijing Summer Olympics. Girard had originally missed the podium with a fourth-place finish. She was upgraded to a bronze after Kazakhstani weightlifter Irina Nekrassova tested positive for either Oral Turinabol or Winstrol during a sample re-analysis announced in November 2016. The experience has made Girard an ardent and outspoken anti-doping advocate. Girard spent years lobbying with “dedication and tenacity” for the reallocation of the Olympic medals she thought she deserved. Girard even wrote an autobiographical book in native French titled “De la défaite à la victoire” that documented her struggles and hardships of being “robbed by cheats”. The book was released in March 2018. The English version “From Defeat to Victory” is expected to published later this year.